Iron is a crucial component for the oceans’ marine life and for carbon storage – but its removal through fishing isn’t being tracked, researchers said at the Autumn Meeting of the American Geophysical Union. Landing hundreds of millions of megatons of fish for consumption means taking large amounts of iron out of the water, but this isn’t tracked by current computer models of nutrient flow in the oceans, said Arlene Haffa and her student A. Moreno of California State University in Monterey, in their presentation at the AGU in San Francisco. Add the catch of algae, and of crustaceans – “They have an iron content even three times higher,” Moreno says – and chances are that human appetites are leaving the oceans hungry for iron, as this metal is hard to come by in a biologically useful form. “Most of the iron that is brought to the ocean as wind-borne dust is in particles that are too large [to be used in biological processes]," Haffa says. 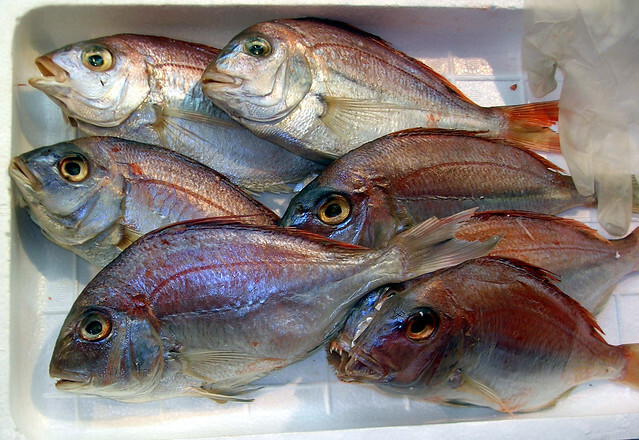 The availability of iron is not just a problem for fish. For years, scientists who study the global carbon dioxide circulation and its role in global warming have been theorising that a lack of iron keeps down the amount of biomass in the oceans, the Southern Ocean in particular, making the Earth miss out on a place where to store excess carbon. This was confirmed in 2004, when the ocean was ‘fed’ with iron sulphates by a German research ship, and subsequently with other experiments. It has been estimated that one kilogram of added iron would allow an extra 100,000 tons of biomass to exist. Ever since, seeding the oceans is one of the ‘bio-engineering’ options for combatting climate change. The ocean’s iron content is so limited, that even the small contribution of meteorites to the Earth’s mineralogical inventory is probably relevant. In another paper at the AGU conference, Lars Dyrud of Johns Hopkins University calculates that meteorites bring in about 100 kilotons of extraterrestrial material, with 20 kilotons being iron. A lot of that iron may end up in ocean life: it starts its existence on Earth as ‘meteoritic smoke’ very high in the atmosphere, which models suggest will be directed to whatever pole is in its winter season. When eventually the iron falls into the ocean, it will be in the form of the very small particles that bacteria can take up. And in the southern hemisphere winter, it will especially land in the Southern Ocean, which is particularly strapped for iron, in effect shoring up the algal life that is there. To see if the iron removal by fishing has the opposite effect, Moreno and Haffa combined data on fisheries from the UN’s Food and Agricultural Organisation with measurements of the average worldwide iron content of sea water at different depths. Awaiting rigorous statistical tests, they presented results at the AGU meeting that suggest fishing indeed has a big influence. In fact, for the past decade mankind has performed an experiment that seemed tailor-made for this kind of research: the iron removed due to the global catch increased from 2-6 kiloton in 1950 to 9 - 30 kiloton in in 1996 and then declined to 2 - 7 kiloton in 2010, the result of overfishing. Any appreciable influence of this activity on iron availability should be visible in the data - and that seems to be the case. Reliable iron measurements are only available from 1978, and year to year variability is sometimes large – there is an unexplained record level of iron in the late nineties – but the iron content in the upper 4000 meters of the ocean was depressed, even halved, in the years when fishing was heaviest. The definitive test of the theory will be to see if the latest iron data will confirm an apparent upturn in the iron content, which would then very likely be a consequence of the decrease in fishing quotas.